Includes a main building set, 12 individual buildings and 5 props. The big building is a power plant, all the others are decoration buildings. 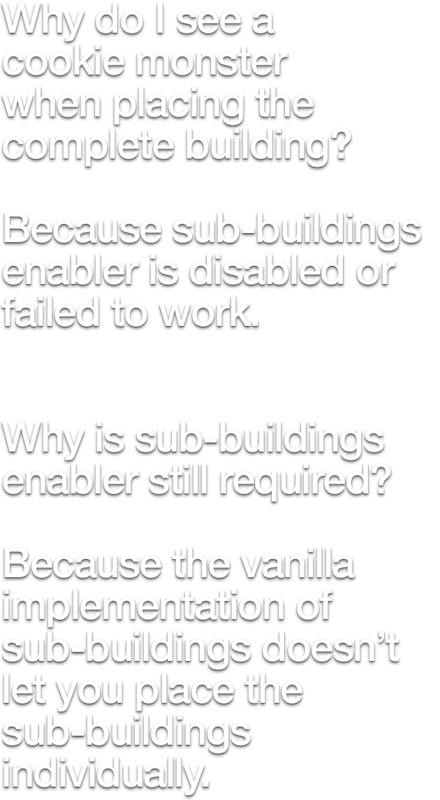 The reason sub buildings enabler is required is it allows having a main with sub-buildings together, but also allows them to be used seperately. If you're scared of mods for no reason, you can skip the SBE mod and still use the individual buildings. The other buildings in the screenshots are Avanya's warehouses and BB Offices. Thanks to Jerenable for the idea, planning and part of the modeling. So, I'd love to use this but it’s very complicated to put together. Not sure if it's supposed to be all one unit or not, but I ended up with 13 different placeable assets. Am I missing something here? Is there a tutorial somewhere on how to put this thing together? Hey Ronyx, would you consider doing another nuclear plant model anytime in the future? I don't know if you do commissions or what, but I would love to have a Westinghouse 4-Loop plant (like Catawba where I live) in Skylines. (WE-4 Loops are pretty notable here in the US, closest we have to a standardized build. South Texas, Catawba, Indian Point, Diablo Canyon, Watts Bar, etc. are all 4-Loops). who are Subbuilding enabler mod not Deprecate? can't Use with cooking Monsteres big blue. why doing ability to Read necessaries? I spent too long trying to figure out the ability to read, but I am glad I got it before downloading your mod. Where can i find the electric grids? I don't understand, why none of the objects (even the one with a smiley) produces electricity/works as a real clickable power plant. The normal size text description sounds to me like it should still be possible to use without the deprecated mod and build it manually (perhaps hide the powerplant under others). if Sub-Buildings Enabler is DEPRECATED, Do I need it? I am very well capable and willing to read. Any good written instructions on placing?